Crown prince Maha Vajiralongkorn was in Germany when Thai palace officials announced that his father, 88-year-old King Bhumibol Adulyadej, was seriously ill. The 64-year old heir to the throne of Thailand rushed to his ailing father’s side. Bhumibol, the worlds longest serving monarch, was announced and Thailand was plunged into grief. Their beloved semi-divine ruler was no more. 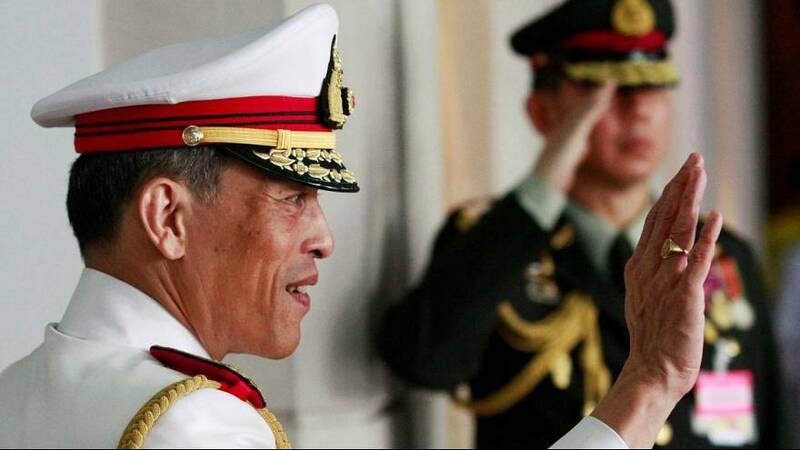 Crown prince Maha Vajiralongkorn is set to replace his father as king. The leader of the ruling military government, Prayuth Chan-ocha, went on television to proclaim the succession. The crown prince has requested a delay before he fully succeedes his father so he can grieve with the nation. A year long period of mourning has been announced. Born In 1952 he was educated in Bangkok, London and Sydney and graduated from the Royal Military College in Duntroon. He was commissioned into the Thai military as a qualified pilot and took part in active military operations against the Communist Party of Thailand in the 1970’s. He inherits a kingdom unrecognisable from when his father took to the throne in 1946. Thailand is now a bustling, industrialised country of 64 million with a huge export and tourist trade. The new king faces a difficult task he is not held in the same esteem as King Bhumibol and the country is politically divided. The crown prince has been mired in a number of scandals; he has married three times and sired seven children. His third wife, Princess Srirasmi Suwadee, was stripped of her royal title in 2014 at the request of the crown prince due to allegations of corruption by her relatives, six of whom have been arrested. The Thai monarchy is protected from defamation and insult by draconian and broadly applied lèse-majesté laws, which limits criticism and keeps any disgrace from reaching the public domain. The military rulers have tried to ease the unpopular crown prince into the public eye and into the hearts of ordinary Thais.